Delphinus, the Dolphin, appears at left as a distorted box of stars, a fifth pointing like a finger down and to the right. The two top stars of the box are, from left to right, Sualocin and Rotanev. Gamma is at the left-hand corner of the box, Delta at the bottom. 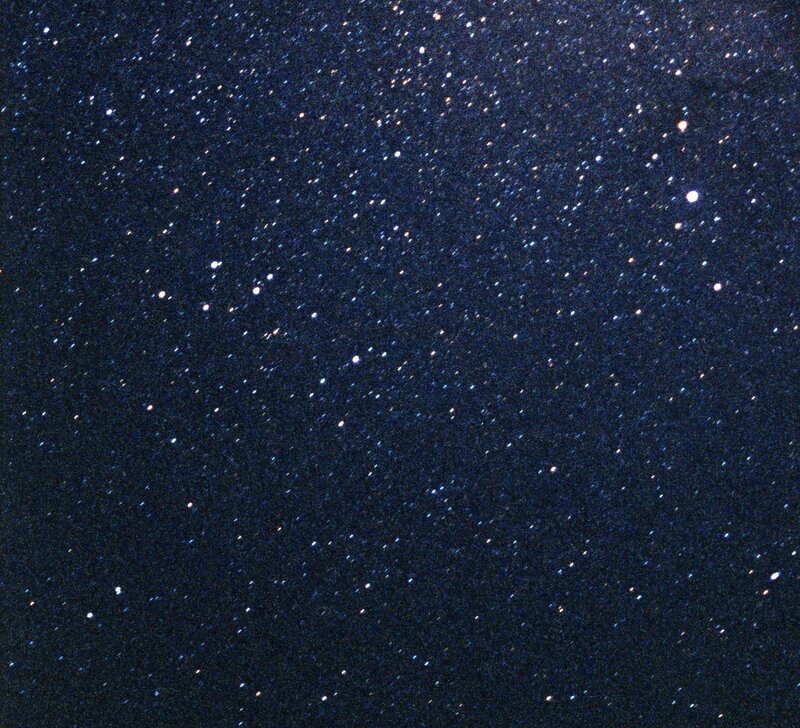 Epsilon is the brightest star down and to the right of the box. Kappa is just below Epsilon while 1 Del is immediately to the right of it. Zeta is just up and to the right of Rotanev. The Milky Way runs to the right. 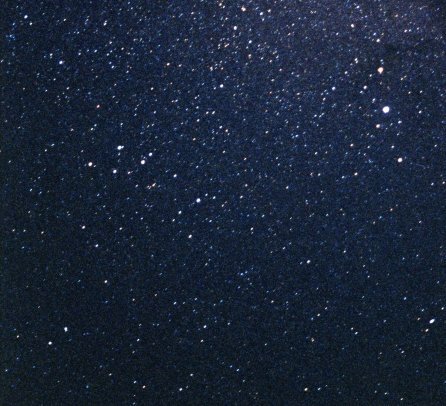 The bright star at right is Altair in Aquila. Rho Aquilae (now in Delphinus) is halfway from the center to the top edge. Delphinus has two stars with orbiting planets: HR 7907 and HD 195019. For more about Delphinus, see Chasing the Fox on Stellar Stories.